Vitasalus (formerly Equinox Products) Imperial Chi™ takes its former Emperor's Ch'i to a completely new level. The great tasting, next generation Imperial Chi™ is produced with over four times (4X) the original herbal content and potency. Virtually every aspect of a person's energy system—be it genetic, sexual, emotional, psychic, physical, or intellectual—is supplemented by consuming Imperial Chi™ on a daily basis. Digestive functions as well as the cardiovascular, immune, endocrine, reproductive, and nervous systems can also be nurtured by this dietary supplement. The ancient wisdom of preventative medicine is now yours! Vitasalus (formerly Equinox Products) Imperial Chi (or Ch'i or Qi) is known in Chinese philosophy as one's essence, life force, or human spirit. The Chinese believe Ch'i is essential in maintaining physical, environmental, and emotional balance. With that belief, they have used herbs for thousands of years which they feel contain an abundance of Ch'i. These rare and exotic herbs—called imperial herbs—were used traditionally by emperors and their royal courts. Developed by some of the world's leading Chinese herbalists and phytopharmaceutical scientists, Imperial Ch'i can be enjoyed in cold or hot drinks. Hover over or to the right of each ingredient for TCM teachings on each. Click to open info in a new window. Vitasalus (formerly Equinox Products) Imperial Chi, which contains over four times (4X) the original herbal content and potency of its former Emperor's Ch'i, has some of the world's greatest rare and exotic herbs called Tonic herbs. The next set of herbs support the adrenal glands. When the adrenal glands are not nourished properly they are easily depleted, especialy by high stress levels and bad eating habits. Providing the adrenal glands with key elements for health helps keep the body in balance. In TCM the adrenal glands are considered part of the water element and relate to kidney energy. The kidneys are seen as the single most important organ affecting the length and quality of your life. They control your internal Chi, your Yin/Yang balance and house your Jing, which is your life force, your aliveness, your creative power and your essence. Abundant kidney Chi correlates to a strong physical constitution as well as to a strong innate sense of purpose and will. The next set of Chinese herbs are from a TCM ancient formula called the Four Gentlemen. This set of herbs is purported to uplift your Chi (the energy source that runs through your body), and support strength, digestion and the reproductive system. TCM asserts that these herbs in combination also act like a catalyst to the main body of herbs to help your body utilize them better. 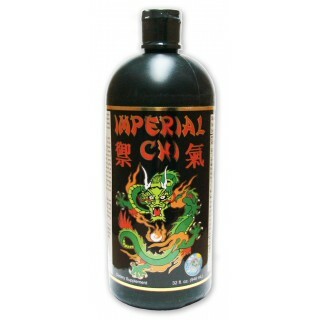 Click here for more information about Imperial Chi. Awesome product! , Review by Megan A. Love the Imperial Chi (or Emperor's Ch'i). Can't wait to use it again! Happy to have found you online! My review comes from consuming Emperor's Chi. 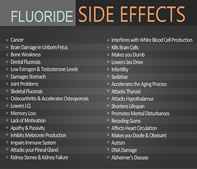 In fact, several friends were consuming it, daily. If we ran out, we would call each other up to keep our dosing up. Think we were like taking a tsp a day, with immediate results, which was a feeling of well being no matter what was going on. I have been looking forever to see if this product was still available. So happy to have found this site. See that you are out of stock. Hope you will have some available again soon.